It happens quite often that I’m asked which French language books I would advise people to read in order to improve their French. I have difficulty answering this properly. For one, contrarily to what many people might think, I’m not a big « rat de bibliothèque » (bookworm). I say I like to read, but my different projects keep me so busy that I think I don’t read more than half a dozen books in a year anymore. Of course, I read in many other circumstance: Bible reading, teaching school, reading letters and answering them (about 10 a day), reading up on something online, etc… But not books. And about half the books I read are in English. So that doesn’t actually make me much of a reference when it comes to French books. But my dad has quite a literary mind, and he tried to teach me in that way back when I was younger, so i do have a bit of advice to hand on. Here it is. I’ll keep adding to this list as I read more books. If a friend tels me of a book that they enjoyed reading, I’ll add it to this list. I’ll try to eventually sort things by interests and by level of difficulty, since that is often one of the main reasons why I don’t have a ready answer for whoever asks what they should read. I’ll try to briefly present the books, their author, their theme, their length (number of pages may vary due to different publishers) and let you make yourself a little list of French books to read. I’ll also put a few links at the bottom of the page, linking to other people who have done the same thing as I am doing here. I haven’t read nearly all the books suggested on those sites, and it is possible that some would not be wholesome for Christians. I’ll let you discern that. I just want to create a little toolbox here for people who need ideas about how to learn French more easily. Please feel free to leave comments, or to go read on my other pages about learning French and other subject. Let me know by email or text if you need a password to get into one of the pages. I advise carefulness when reading comics, but I find them a good way to practice a language. I used some Astérix and Tintin books to learn some Hindi, and I hardly needed to have the French original version to compare, since I’ve known all these books since I was quite young. “Les Aventures de Tintin” (The Adventures of Tintin) is a wildly popular 20th century comic about a Belgian reporter and his pet dog, Snowy. With writing that overlaps a variety of genres (adventure, mystery, fantasy, science fiction, political thriller, social commentary), you can find a comic to suit your tastes. 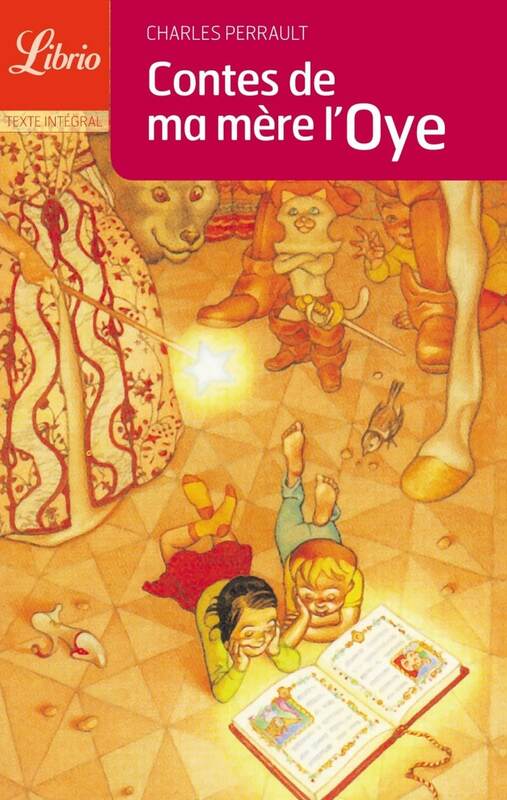 “Les Aventures de Tintin” can be enjoyed by French readers of all ages. French comics are a great way to ease your way into French reading. Not too many words are on each page, so you won’t be overwhelmed by too much French. Plus the pictures will assist in your comprehension, meaning you won’t have to look up as much vocabulary. There isn’t enough space on this page to provide an overview of all the Tintin comics. You can find entire books of commentary on “Les Aventures de Tintin,” though, if you want to learn more. Otherwise, I recommend starting with the third comic, “Tintin en Amérique.” In this comic, Tintin and Snowy are covering a story on organized crime in Chicago. Naturally, hijinks ensue, involving Al Capone and other gangsters. Who doesn’t want to read adventurous historical fiction? Just note that some characters take on somewhat racist caricatures, a reflection of the contemporary values of that time. Some of my favourites are « Le crabe aux pinces d’or » and « Le trésor de Rackham le Rouge ». But I have to say, I prefer Astérix to Tintin, mostly because of the witty puns and the anachronisms. It is, however, a little less sober, a bit more violent, and has the aspect of the magic potion. This bothers some people, but I guess I grew up mostly focusing on the language and anachronisms, and never noticed some of those aspects until other people pointed them out to me. Start off slow with a children’s book. Many suggest “Le Petit Prince“, and not without good reason. 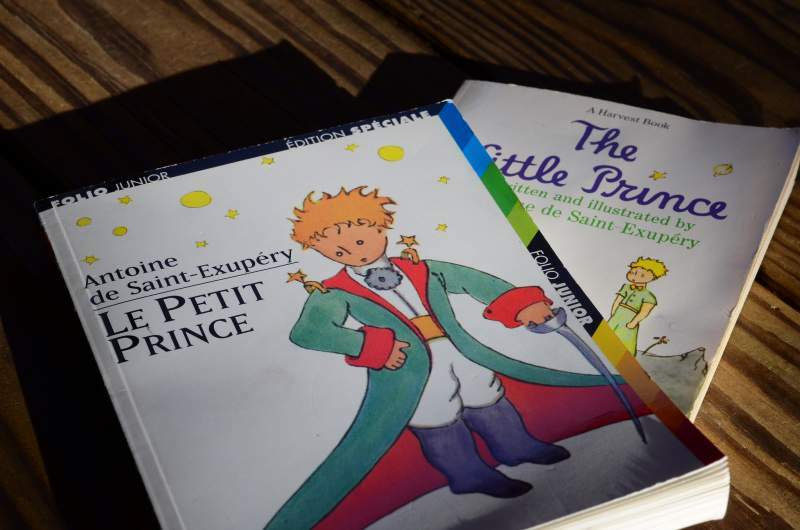 But while “Le Petit Prince” is unquestionably a classic of French literature, despite its childish presentation, you may be surprised to learn that it was never intended to be a children’s book. While the realism of the book is based in imagination, many of the expressions and ideas expressed in the book can be difficult and for a first-time reader to understand. Instead, start things off with “Le Petit Nicolas“,written by René Goscinny and illustrated by Jean-Jacques Sempé. Published in 1959, it’s an idealized and nostalgic memory of what it was like to be a kid growing up in France in the 1950s. What does that mean for readers? Well, a lot of things are still relatable, even to today’s children and adults. Games may be slightly different, slangis a bit outdated and the uniforms and separation of boys and girls in the 1950s French school system may be a bit old-fashioned. However, the ever-present cancre, who can’t get the answer to any question right, and the chouchouor teacher’s pet are as present in these classrooms as they are in those of classic American childhood stories. The host of other characters form little Nicolas’ circle of friends, and lend supporting roles to his adventures. Because the story lines are constructed for children, they’re easy to follow. This means that you’ll be able to deduce the meanings of half of the unfamiliar vocabulary words without even checking the dictionary. The Sequels! There are five original books, each containing between ten and twenty stories. I enjoy reading them to my students, and I know some of you have had fun reading them! The Martine book series is a series of French children’s books many French boys and girls grew up with. Each book is dedicated to a new event in the life of Martine, a stereotypical naive countryside girl from Brittany. The book series has sold about 100 million copies and is one of the best-selling book series. 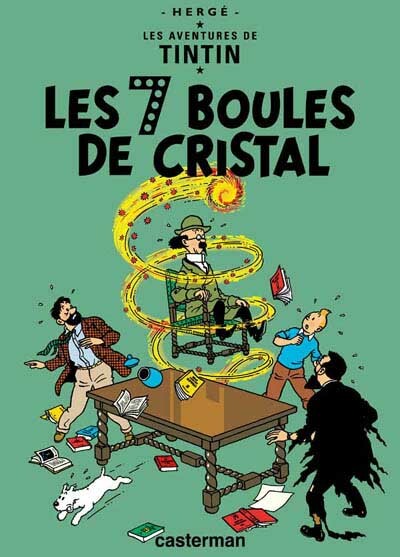 There are 60 books in the series, and many French speaking homes have at least a few of these. IA great place to start reading French is this beloved children’s classic first published in 1943. 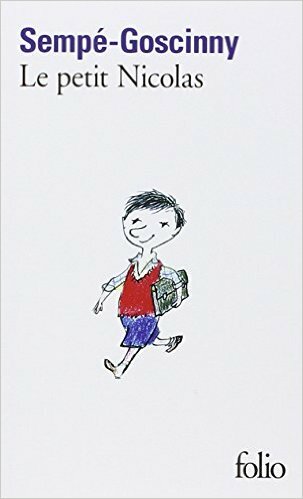 Although written for children, the story is deceptively deep and contemplative, offering much to the adult reader too. The writing can be a challenge for beginners in French since some of the vocabulary might be considered more ‘advanced’, but since the story is quite short and simple, it is still accessible if you’re at an upper-beginner level and above. 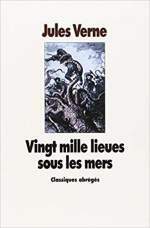 Known in English as “Twenty-Thousand Leagues Under the Sea”, this is my recommendation for anyone interested in attempting one of Jules Verne’s classic novels in the original French. This book is a perfect example of how – and how not – to read extensively. It is full of nautical terms from the late 19th century that would be mostly useless in modern daily life, so if you’re attempting to read this novel you should skip over these archaic terms and simply enjoy the excitement of the adventure. The slightly old style of French makes it more difficult than more modern novels but it’s still a worthwhile and enjoyable read. Other good books by Jules Verne include Le tour du monde en quatre-vingt jours (Around the world in 80 days), Michel Strogoff, L’île mystérieuse, and Voyage au centre de la terre (not my favourite). An alternative to reading French comics is to read French short stories. Guy de Maupassant is one of the world’s best writers of short stories. In fact, you probably read at least one translation of his work in your high school English classes. “La Parure” (The Necklace) is arguably Maupassant’s most famous short story. It’s part of his short story collection “Contes du jour et de la nuit” (Stories of Day and of Night). The original publication of “Contes du jour et de la nuit” includes 21 short stories, although later editions include additional tales. While taking three weeks to read a book can result in losing track of complicated plots or many characters, reading just one short story a day is different. Each short story has its own plot and set of characters, so you start fresh with each new tale. Maupassant’s short stories are particularly enjoyable to read, especially if you like plot twists. Another short story collection for French beginners is one quite famous in America. You probably know Charles Perrault’s “Histoires ou contes du temps passé, avec des moralités: Contes de ma mère l’Oye” (Stories or Tales from Times Past, with Morals: Tales of Mother Goose) from the many famous Disney versions. I am a big fan of fairy tales. While not all of Perrault’s fairy tales are original to France (versions of Cinderella, for example, can be found in cultures all over the world), his interpretations quickly became classics. Again, by reading stories in French that you already know, you’ll pick up new vocabulary more easily thanks to context clues. French literature can be divided vaguely into periods based on century. The 16th century was that of the poem and the sonnet; the 17thwas that of the play; the 18th, of the philosophical essay; and the 19th, of the novel. Perhaps no one so well incarnated this genre of writing than Honoré de Balzac, who sought to write all of humanity: the Human Comedy, as he called it. This undertaking resulted in no fewer than 93 novels, plays and short stories, compiled and known as “La Comédie humaine”. It featured a cast of recurring characters; main characters of one novel would pass through the background of the other. In this way, Balzac created his own world, his own human comedy. 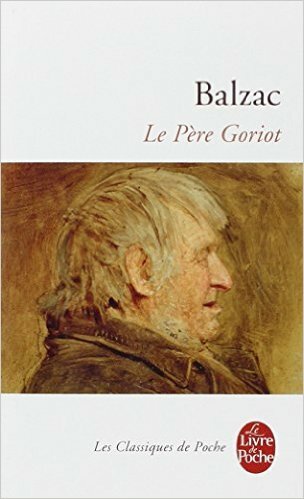 Many of the novels that are a part of Balzac’s oeuvre are well known, but “Le Père Goriot” is one of the most famous. Balzac’s style was criticized in his time for being too simple, but that’s exactly what makes it so appropriate for French learners. Balzac is excellent at telling a story for what it is. There are few twists and turns, and most of the surprises are kept from other characters, not the reader. Balzac’s attention to detail and keen desire to allow the story to unfold step by step means that the novel, which describes the lives of three men living in a boarding house in 19th century Paris, is easy to understand, regardless of the use of certain words like redingote and vermicellier, whose usefulness in day-to-day 21st century conversation is debatable. “Ferragus“, also by Honoré de Balzac. This story explores secret lives and secret identities, with appearances from some of the characters you’ll already have met in “Le Père Goriot”. This novel by Simenon introduces Commissaire Maigret, who appears in many more novels and stories. By many, I mean more than a hundred. 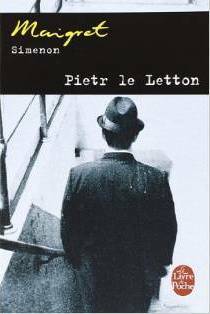 So if you develop a taste for following Maigret through his methodical, character-rich investigation processes, you’ll have taken on an excellent habit for your French learning. The prose in this novel is still a little rough compared to the easy, relaxed pace Simenon developed in later works, but it familiarizes you with Maigret and Simenon in a story that takes the detective through a variety of locales in different social strata.